Which means workouts involve compound exercises – more joints and several muscle groups are being used. The joint that’s being exposed frequently, especially with the overhead movement, are the shoulders. Paying more attention to your time and speed than technique and additional stability exercises, can often, on a long term end up painfully: with a shoulder impingement. 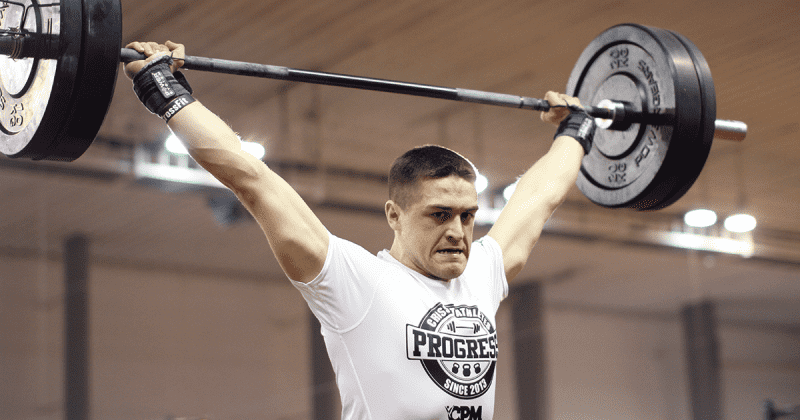 Most of the athletes have already experienced sharp pain while cleaning the weight, pushing the bar overhead or just simply elevating the arms laterally (with or without any additional weight). The pain doesn’t stay in the gym: eventually it follows you back home into everyday activities: for example getting dressed becomes painful as well. Most common reason for shoulder pain is the impingement syndrome. It develops from the repeated movement pattern when the supraspinatus tendon is being clamped in the strait between the humeral head and the acromion (a bony prominence at the top of the shoulder blade). If this movement is being repeated, over time impingement syndrome can lead to inflammation or torn tendons. Naturally bony structures of the shoulder joint are positioned very close to each other. Supraspinatus tendon is part of the rotator cuff – group of muscles and their tendons which stabilize the shoulder. Its main function is to abduct the arm to the side. Out of four rotator cuff tendons, this is the one that has to withstand the largest load. Impingement syndrome develops gradually. The condition is very common in sports like swimming, track & fields’ throwing disciplines, Crossfit… As well as in some professions which demand physical work like moving loads from ground to above and over the head. The first indicator is a sharp pain which occurs when lifting your arm sideways, especially in a radius of 60° – 120° (called the “painful arc”). Pain often disappears when stretching the arm up straight. Eventually the pain occurs also during rest (sleep). Daily activities like reaching up behind your back or overhead when putting on clothes can become unbearable. A visit to the doctor’s office and x-raying the shoulder should be done to confirm the diagnosis and the cause of it. When the diagnosis speaks for an impingement syndrome, the therapy provides rest, medication and physiotherapy. If you’re pain is still slight and it’s not transferred to the resting period yet, then give the overhead movement a break (especially in Crossfit workouts) and focus solely on stabilizing exercises. Always warm-up well: your upper body with doing shoulder, elbow and arm circles, mobility and stability exercises. Most importantly: Try to avoid any movement above your head as much as any abduction of your arm to the side. Also avoid any movement of pushing weights away from your body or from ground to overhead (i.e. overhead press, wide push-ups, kettlebell swings etc.). What you need the most though is patience. If your tendon is seriously inflamed or even torn it will take a few weeks or even months to heal. Only when the inflammation is completely gone you can go back to normal training. Work on your rotator cuff muscles though and try not to overload your shoulders. They need to get used to heavy weights gradually as all other muscles do.